Model of the car to be glued. Size: 1:24; 19.1 cm. The package contains: 86 pieces for gluing. In 1964, an internationally acclaimed coupe designed for younger drivers was presented to the public at an international exhibition in New York. 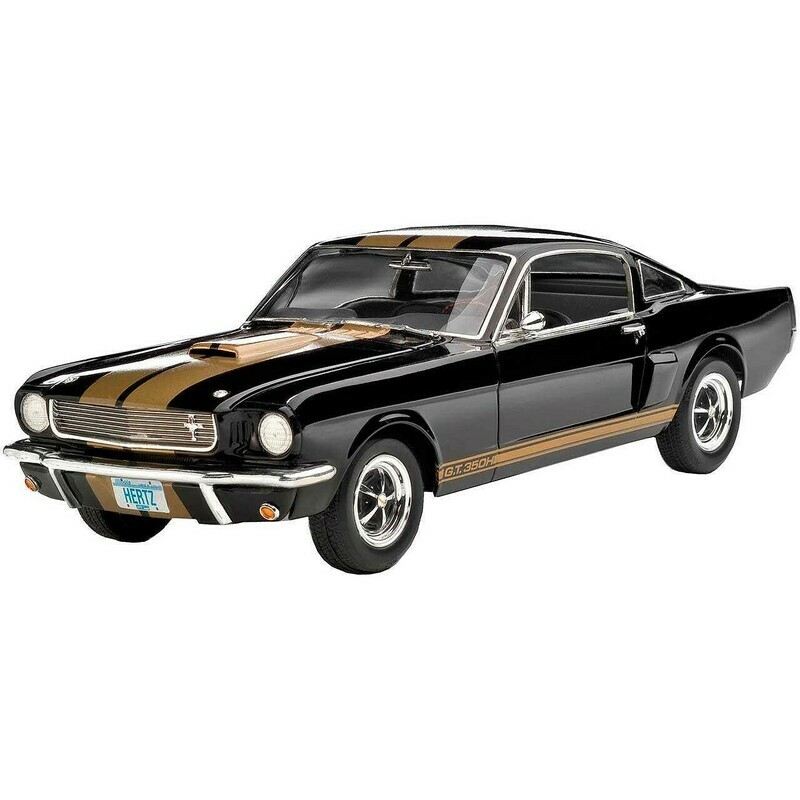 This sporty and economical Ford Mustang, the maker of the "Pony Cars," was available from April 1964 and over six months Ford sold him an incredible 680,000 units. In 1965, his more powerful version, the GT 350 built by Carroll Shelby, with an eight-cylinder V8 engine with a volume of 4.7 liters. Hertz car rental ordered 1000 GT 350 H (as Hertz) in a distinctive black color with golden trim to allow customers to rent "racing cars", and they really did very fast in this exceptional Mustang with 306 horsepower under the hood found pleasure.